Spring is here and with that, an opportunity for renewal. This year, make Spring cleaning more than just a burdensome exercise in purging. 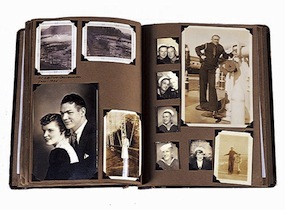 Don’t avoid the boxes in your basement or closets marked “family photos,” “vacation videos” or “important documents.” Most likely, these photos, audio and video recordings are in various states of disrepair collecting dust and disintegrating. With some of the erratic weather we’ve had in recent years, we’ve noticed a common theme among Boomers who suffered property damage due to fires or flooding. Often, the first thing families search for among the rubble is not their new 3D television or iPhone, rather, they are concerned about whether or not their irreplaceable items such as photos, documents and videos are safe. Understandably, they are devastated if they find these items damaged beyond repair, that is unless they have taken the time to digitize and protect these memories. Make this the year you avoid any regret by getting these treasures to safety. It can be difficult to find a starting point, especially when these items fill several boxes and have never been organized, but here are a few tips to get you started. 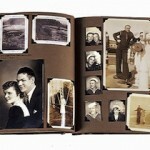 Sift through your photos to decide which ones are important enough to digitize, then organize stacks by person or year. If possible, and with an acid free pencil, make note of any information you can remember about the photo on its back. Next, scan the photos at the highest possible resolution and save each photo to a hard drive as a .jpg file. It is best to include photo information [subject(s), date, location, etc.] in the filename itself. Then, if possible, upload those images to a service like Dropbox or Google Drive which will allow you to access your photos from anywhere and is an ideal back-up should anything happen to your hard drive or computer. We recommend storing the hard drive in a safety deposit box. Once you have digitized your photos, place the originals in an acid-free storage box and ensure that you use acid-free folders or paper for any special photos that you wish to keep separated from the others. Place a label on the outside of the box with any helpful information about the contents of the box. Follow steps 1-3 with any other important documents or news articles you wish to back-up. Remember, once you have a digital version of the image, you can always get it reprinted if you ever lose the original. Unfortunately, most people do not have the equipment necessary to properly digitize video to a format that can be converted to a DVD and stored on a hard drive or online, so this should be done by a professional. Price out services in your area, but be cautious about using Walmart or Costco for these types of services because, while their rates may be competitive, they send their videos overseas to be digitized and you may not want to take that risk with your prized possessions. Once you have your photos and videos digitized, not only will you be able to rest easier at night, but you have limitless opportunities for displaying these items in video, book or web form so they can be shared with your family and friends now, and passed on for generations to come!